Five Lions Heating & Cooling is a team of professionals that specialize in repairing all makes and models furnaces. We have the skills, the knowledge and the credibility to enforce our scope of work. At Five Lions Heating & Cooling we want to make our customers aware of their heating options. Whether your repairs are done on residential or commercial, it is in our best interest to educate our customers on what you need. 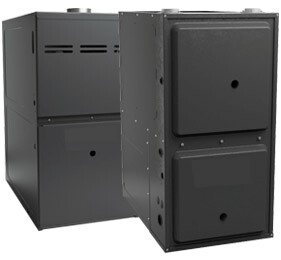 Upgrading your furnace as soon as possible will help you save energy. If the heating system in your home is 14 years old, whether it’s time to replace or repair your furnace, you will need a reliable, honest and dedicated company. Five Lions Heating & Cooling has the expertise in keeping homes warm and comfortable through chilly winter months. Servicing your residential and commercial appliances should be done annually. This will preserve appliance efficiency and prevent costly break downs. When important appliances such as your furnace are not well maintained annually, this can lead to the risk of exposing you to deadly carbon monoxide gas. In order to have your heating systems functioning, a key component is annual maintenance. Your Furnace is one of the most dangerous appliances and should be kept in good standing. At Five Lions Heating & Cooling we want to make sure our customers are safe at any cost. Lengthens the lifespan of appliance. Preserves your family’s health and wellbeing. At Five Lions Heating & Cooling our reputation is important to us, being educated, knowledgeable, thorough, and caring is why you should book today to replace or repair your furnace. We stand by our team of experts to get the job done. We’re available 24/7. Contact us for a free, no obligation estimate on repairs. We service in the Scarborough area and we will expand our services further throughout the GTA. We look forward to hearing from you!